A little overdue in posting this on my blog. After we caught the movie Inside out, the character that left the most impression on me was not any of Ripley's emotions, but Bing Bong. Bing Bong is an imaginary friend of Ripley, he sacrificed himself in the end, I know it's very typical Disney movie style but I still could not help crying. 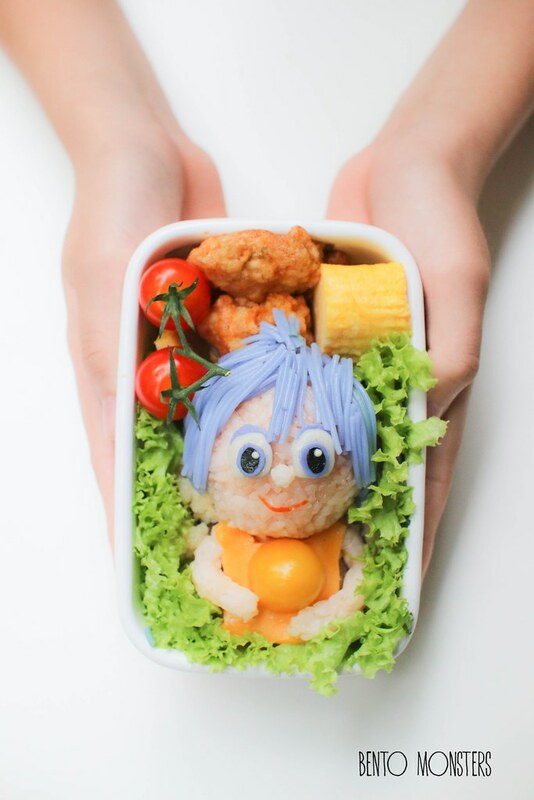 There you go, Bing Bong bento I made after I watched the movie. I had made the emotions Sadness and Anger before I caught the movie, they can be found here. 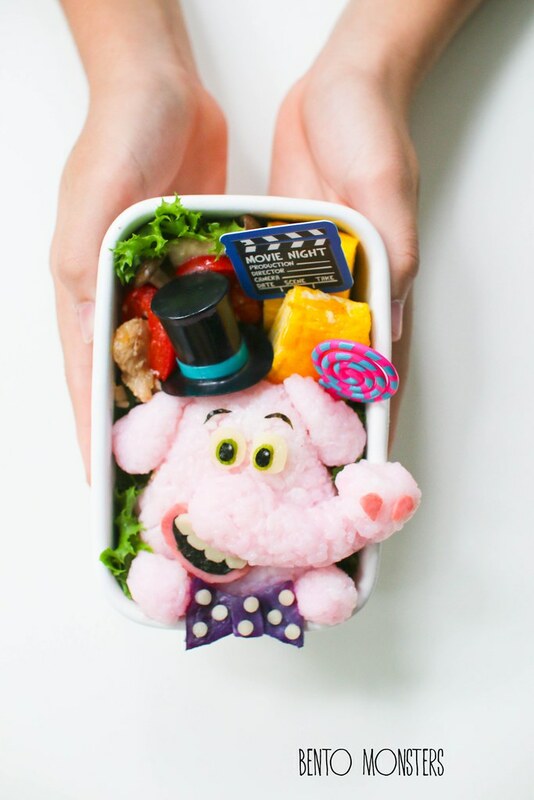 Bing Bong was made using rice coloured with pink sushi seasoning. 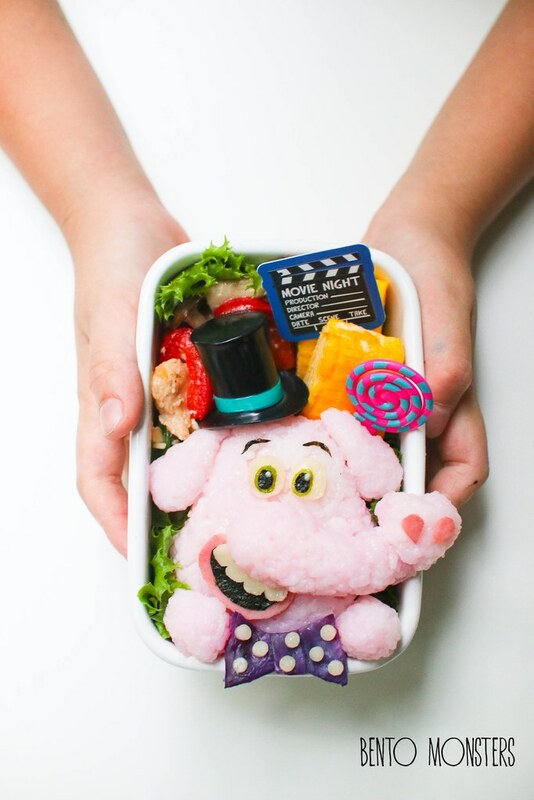 Other ingredients used were cheese, ham, nori, lettuce and red cabbage. I used a hat cupcake topper on him. Also packed a fast chicken and bell peppers stir fry and tamagoyaki in this bento. I also made the emotion Joy, which I don't really like, I find her rather useless and selfish towards the end,lol. The emotions I liked best was Sadness, she was a little irritating at first, but I still find her cute and I liked how she was able to empathise for others. I'm not too happy with how Joy turned out though, I know it does not really resembles her, was rushing that day and don't have time to alter. I don't think I will be remaking this again though. 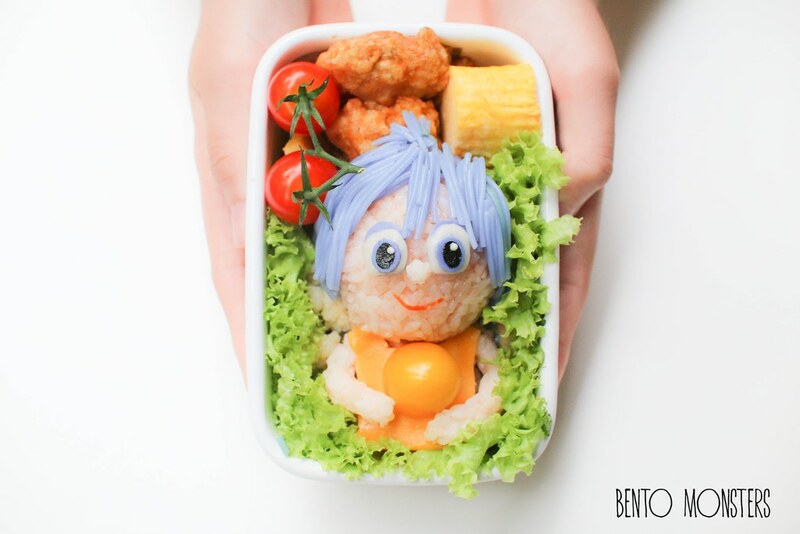 Ingredients used to make Joy were rice(coloured with some ketchup), somen and ham dyed blue in butterfly/blue pea flower water cheese and tomatoes. 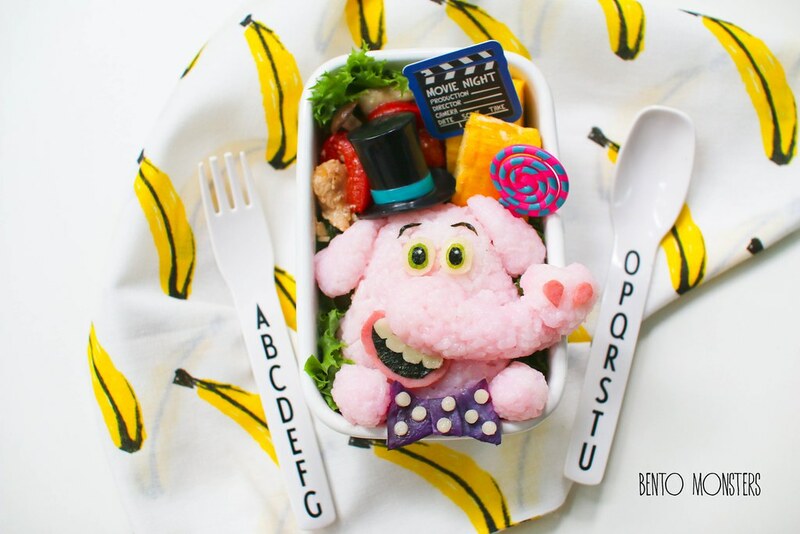 We enjoyed the movie and both Joy and Bing Bong are super cute! As always, I love all of you detailings! Love them all, especially Bing Bong! 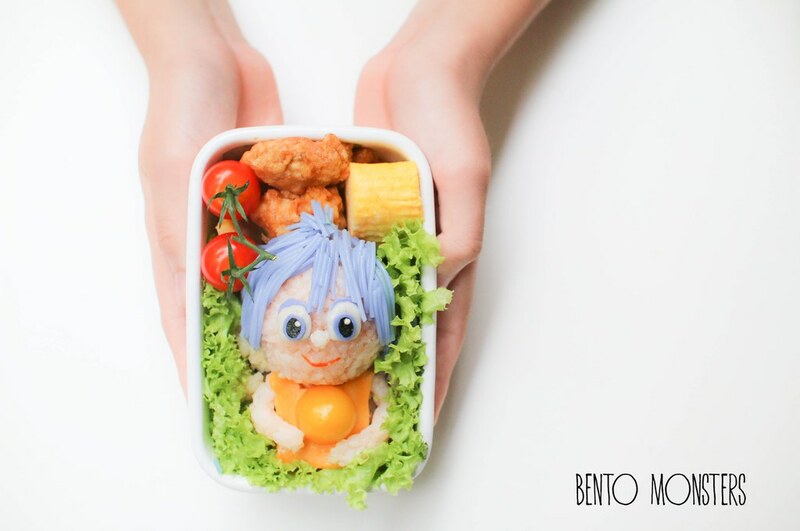 Very detailed bentos! omg my son will love this.. how can you don't like joy? i love her because when my son get mad, i will ask where's joy.. how bout we invite joy inside you.. some like that hahaa..
Iol, I don't really like her in the show, but I do like the emotion Joy inside of us.